Happy Family Day everyone! 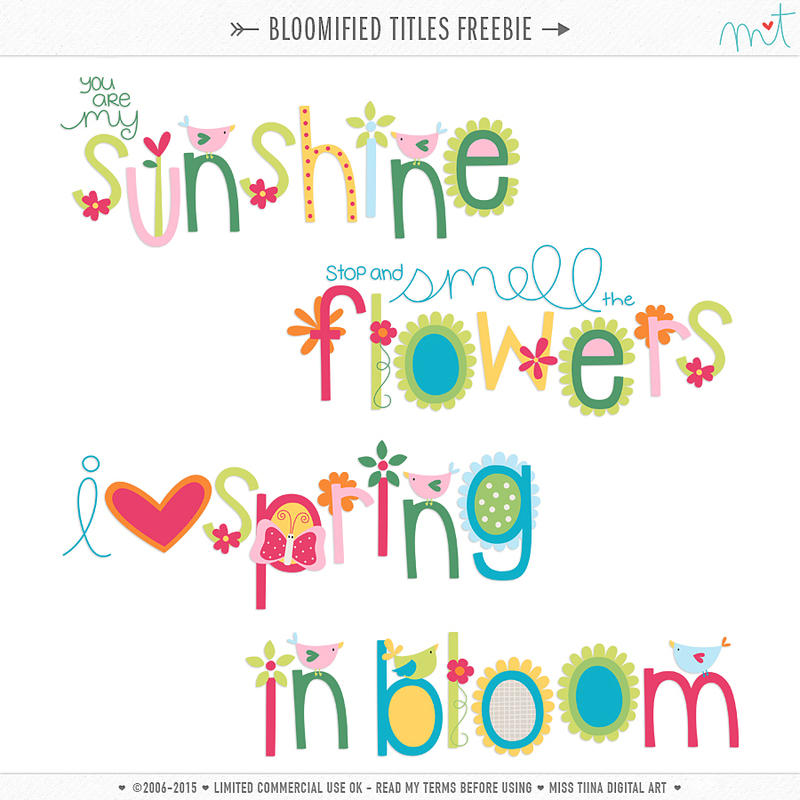 Here is the winner of my Bloomified collection! Congrats Dawn!! I will be emailing you shortly! Thank you all so much for your lovely comments!! Hope you enjoy this little freebie! Thanks for the super cutie freebie! no podría ser más lindo!!! Me encantaaaaaaa!!!! Vraiment trés joli, donne envie d`etre déjà au printemps.Merci beaucoup. thank you, it´s so cute! Congrats to Dawn and thanks for the super cute freebie!! You have got to be the most generous designer ever! Thank you so much for the ADORABLE freebie! Cant wait to play around with it! Thank you so much, very cute!!!! Thank you so much for the freebie, you are always so sweet! Happy Family Day! Ooo, thank you Miss Tiina, these are very lovely! awww cute!!!!!!!! thanks & happy family day!! I’m so excited about this! Thank you so very much! Thanks for the cute word art ! And congratulations to the winner ! yay!!! thank you these are pretty!!!!! Soooo cute! Thanks for the great freebie! These are gorgeous! Thank you so much and Happy Spring! Thank you so much for this! I bought the collection, and I am soooooooo thrilled to add this to it! TYSVM for this awesome freebie! thank you so much for this pretty freebies! Thank you so much. I always love your designs. These are so cute. Awesome as always! Thanks so much. Thank you so much Miss Tiina!!! You are so sweet!!! Thank you for the freebie….Love the colors…. thanks for the freebie!! really appreciate your generosity! Thank you for sharing! So whimpsy…so spring! thank you so much – totally missed this. happy it’s still available. you rock! What a beautiful calendar! Thank you! Thank you so much for sweet word art.